Methane gas bubbling up from the ocean's seafloor off the coast of Washington and Oregon recently made national media headlines, and they were called extremely unusual and caused by man-made global warming. Scientists favoring the theory of man-made global warming contend that a CO2-heated atmosphere (via radiative forcing) has acted to warm a tiny region of the ocean that's adjacent to Washington State and Oregon. This warmed ocean water then destabilizes methane hydrate formations on the seafloor, which begin emitting methane gas into the ocean (and then the atmosphere). Figure 1 – The “Cleft” fault segment of the offshore Washington state Juan De Fuca Fault System. As first reported in a recent CCD article, these alarmist media reports neglected to tell the public about the underlying geology of that area. 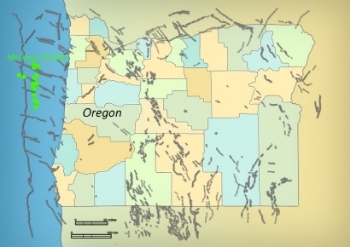 That's because previously mapped offshore fault zones (a complex deformation associated with the fractured surface of the fault) located in the Washington State and Oregon region are the likely culprits behind any increased methane bubbling, and not man-made global warming. Let’s begin by discussing one of the alarmist media statements, that ocean methane bubbling off the coast of Washington and Oregon is extremely unusual. From a very broad prospective we live on a water covered planet (Figure 2). Seems like an obvious statement, except the significance of this statement is not even remotely appreciated by the public, and shockingly not by climate scientists advocating the theory of global warming. 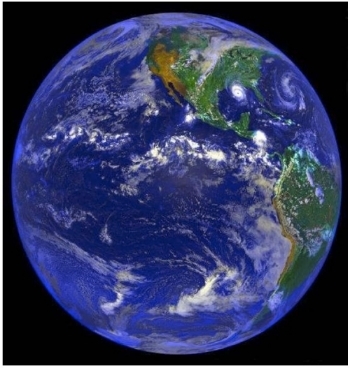 Our planet is nearly 70 percent water and 30 percent dry land (97 percent of the water on the Earth is salt water). In fact, there is more dry land on the surface of our moon than on Earth. Based on these percentages, it would seem logical that humans would have concentrated a maximum effort on exploring every inch of the oceans and the ocean seafloors because they comprise the majority of their planet. Despite a lot of documentaries on NatGeo, we haven't. Human eyes have only viewed about 1% of the Earth’s oceans and seafloors. 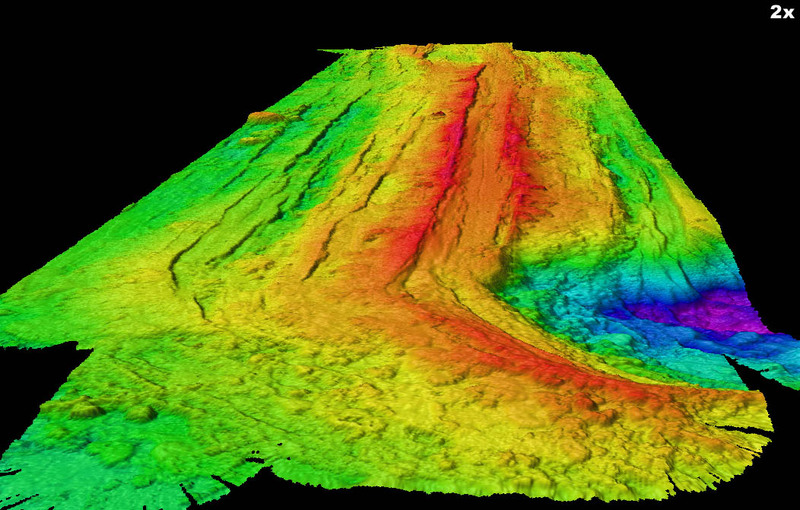 Yes, we have obtained remote images of the seafloor using sonar, but these images are at best poor substitutes for human eyes and recreated using computer modelling programs. Increasingly during the last 15 to 20 years, scientists have employed deep-diving submarines and robots armed with cameras to begin unlocking the secrets of our seabeds. On most of these missions they have discovered what have been called bizarre new species of fish, corals, and geological features. Actually these new discoveries are only bizarre to humans as they begin to decipher the unexplored ocean environment. We now realize that it is quite common to find differing types of fish, corals, and geological features living on or around our vast seabeds. There is actually more deep-sea coral unseen by human eyes then all the shallow-level coral along the coastlines of most continents. We only know it's there because of sonar and other measuring methods. Now let's look at the methane emissions coming from deep-ocean hydrothermal vents, cold seep vents, methane hydrate rock layers, and faults. When discovered in 1977, these geological features were thought to be one of a kind and bizarre. They are now known to be very common, some say so common that they may be Earth’s dominant methane emitters, far greater than all human emissions combined (refer to this previous CCD post). Methane geological seafloor emissions have been occurring for eons. Many geologists ascribe to the notion that very ancient deep-ocean methane sites were the birthplace of life on earth. So ocean methane emissions are in fact quite common and not at all extremely unusual. They occur at many deep-ocean locations around the world, turn on and off regularly, and most importantly, are often associated with both local and major fault systems. These faults act to break open a vertical pathway for upward migration of methane gas, facilitate local non-catastrophic heating of adjacent methane hydrate rock layers, and act to tap deeper pockets of pure methane. This is all very normal geological stuff. When a fault moves or becomes a little warmer it acts to melt some of the frozen methane which makes its way vertically up the fault and into the ocean. This is a very normal geological process. There is still more to learn about the geological nature of deep-ocean methane gas emissions, but finding methane gas bubbles off any ocean coastline is not a reason to become alarmed, hysterical, or prompt some people to ask their Representatives to enact global carbon taxes. Now let’s take a closer look at what is the real cause of the Washington / Oregon methane gas bubbles. Figure 3 illustrates known faults off the coast of Washington. It becomes immediately obvious that the seafloor methane bubble locations form a straight line that matches the trend of several know faults. offshore Methane Bubble Locations (red, and yellow dots), and Ocean seafloor known faults (dark red and blue lines). That's the real headline here. These methane gas bubbles are not due to regional heating of the ocean from man-made global warming, as they are clearly related to local faulting. Methane emissions from other seafloor faults off the Washington coast have been well documented in numerous research papers, as shown in the image atop this article showing just such a fault, the Cleft fault segment of the Juan De Fuca Ridge fault system. This is a proven methane-emitting fault segment (Also see References at end of article). Next let’s review the Oregon offshore methane bubble locations (Figure 4). Again, the methane bubble locations form a straight line that matches the trend of nearby known faults. This is extremely strong proof that local faults are the real cause behind methane bubbling. and Ocean seafloor known faults (dark gray lines). Another interesting aspect of both the Washington and Oregon methane bubble locations is that they are not evenly or randomly distributed as would be expected if the gas was related to flat, lying, shallow methane hydrate seabeds. Instead, the locations are clearly linear and match known fault trends. Why the media neglected to tell the public that methane emissions are related to deep ocean faults is not too difficult to fathom. The more alarmist and hysterical the headlines become, the more papers and clicks they get. Journalists have a higher duty to their readers and themselves to actually investigate the simplistic press releases they get (and then print verbatim). For some reason, the words 'naturally occurring' has become a dirty phrase in the mainstream media, when it should be the first item they research.